A groundbreaking new documentary series crisscrosses the country exploring how the social conditions in which Americans are born, live and work profoundly affect health and longevity, even more than medical care, behaviors and genes. This four-hour television and DVD series challenges fundamental beliefs about what makes Americans healthy – or sick – and offers new remedies for an ailing society. What are the connections between healthy bodies and healthy bank accounts? “In Sickness and In Wealth” travels to Louisville, Kentucky, not to explore whether health care cures us but to see why we get sick in the first place. The lives of a CEO, a lab supervisor, a janitor, and an unemployed mother illustrate how social class shapes access to power, resources and opportunity. Solutions being pursued in Louisville and elsewhere focus not on more pills but on better social policies and more equality. When the Bough Breaks examines the enigma of the Black-white infant mortality gap. Why do infant mortality rates among African Americans remain more than twice as high as white Americans? Although birth outcomes are generally better for those with higher education and income, Black women with college degrees are still more likely to give birth prematurely than white women who drop out of high school. Researchers are circling in on a provocative explanation: the chronic stress of racism can become embedded in the body, taking a heavy toll on African American families and their children even before they leave the womb. Becoming American sheds light on the shifting health status of newly arrived Latino immigrants. Recent Mexican immigrants, although typically poorer, tend to be healthier than the average American. But the longer they live here, the worse their relative health becomes, even as their economic status improves. This “Latino paradox” places their children at high risk for obesity, heart disease, and mental illness. What is it about new immigrant communities that shield people from poor health? How can we all learn and benefit from that knowledge? And what erodes this protective shield over time? *This program is available in Spanish. 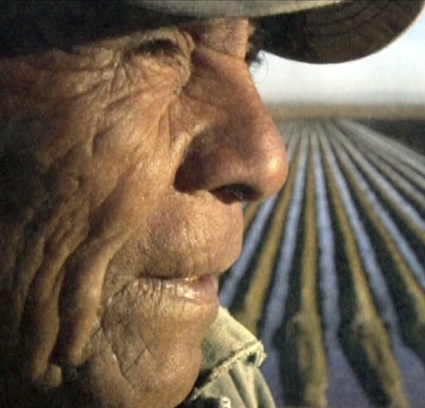 Bad Sugar explores the causes and effects of diabetes within two Native American communities. The Pima and Tohono O’odham Indians of southern Arizona have arguably the highest rates of Type II diabetes in the world. A century ago, the disease was virtually unknown here. But the diversion of river water destroyed their farms and traditional ways, plunging local tribes into poverty and dependence. A sense of “futurelessness” took hold. And so did diabetes. Decades of medical interventions have not stemmed the tide among Native Americans and globally. But in 2004 the Pima finally won back their water rights and are beginning to farm again. Leaders are cautiously optimistic that community empowerment, along with sustainable and culturally appropriate development, can restore prosperity, hope and health. Place Matters connects the dots between health, wealth and zip codes. Why is your street address such a good predictor of your health? Latinos and Southeast Asians like Gwai Boonkeut have been moving into long-neglected urban neighborhoods like those in Richmond, CA. Segregation and lack of access to jobs, fresh foods, safe parks, and affordable quality housing have been harmful to long-time African American residents, and now the newcomers’ health is suffering too. In the Pacific Northwest, a similar neighborhood, High Point in West Seattle, is emerging as a promising alternative. Community members, local government, and developers took a radical approach, using federal funding to rebuild a mixed-income community with health as its focus. Collateral Damage traces the health challenges of Marshall Islanders from the South Pacific to Springdale, AR. The lives and health of Marshall Islanders in the South Pacific were disrupted when the U.S. used their outer islands for extensive nuclear testing after WWII. But the dislocation set in motion by globalization and the presence of the Ronald Reagan Ballistic Missile Testing Site may be taking an even greater toll. Their traditional way of life destroyed, many Marshallese, desperate for jobs at the U.S. base, crowd the nearby island of Ebeye, where tuberculosis and other diseases are fed by poverty and squalid conditions. Today, many Marshallese have sought brighter prospects in the unlikely town of Springdale, AR, bringing a legacy of poverty and powerlessness with them. Not Just a Paycheck explores the heavy toll of layoffs and job insecurity in western Michigan. When Electrolux shut down the largest refrigerator factory in the country and moved it to Juarez, Mexico in search of cheaper labor, it turned upside down the lives of many of the 3,000 employees. Hospital visits in Greenville, MI more than tripled as a result of depression, alcoholism, and domestic abuse. And heart disease and mortality are predicted to rise. Hardly a ripple was felt when Electrolux shut down one of its plants in Sweden, where social policies are based on an ethos of shared responsibility that protects workers from the impact of globalization. Larry Adelman is president and co-director of California Newsreel, the country’s oldest non-profit documentary production and distribution center. Newsreel has played a leading role in developing award-winning, socially engaged film and video for universities, libraries, and public broadcasting since 1968. Larry oversees Newsreel’s productions and has helped develop dozens of Newsreel releases. He was series creator and executive producer of RACE – The Power of an Illusion. Other award-winning documentaries broadcast by PBS that he’s produced or directed include Controlling Interest; The Business of America…, Collision Course and The Road to Brown. Peabody and DuPont-Award winner Llew Smith began his career as associate producer for the acclaimed Eyes on the Prize series and worked for eight years as story editor for PBS’s American Experience. Llew left to become project director for the Peabody winning series Africans in America and also produced and directed its final episode, Judgment Day. Since then, his other award-winning producer / director credits include the final episode of RACE – The Power of an Illusion with California Newsreel, and the three-hour American Experience special, Reconstruction: The Second Civil War. He recently completed a two-hour NOVA special on pioneering chemist and civil rights activist Dr. Percy Julian, called Percy Julian: Forgotten Genius. Christine Herbes-Sommers has produced over 100 hours of documentary, dramatic and educational programming for PBS since 1976. Her film Joan Robinson: One Woman’s Story won the DuPont Columbia Journalism Award in 1981. Her other work has garnered many other awards. In 2003 she directed/produced The Difference Between Us, the first episode of the critically acclaimed RACE – The Power of An Illusion. Kimberlee Bassford is an award-winning independent filmmaker. In the past, she was a producer on the three-hour PBS documentary series The Meaning of Food (2005) and the short documentary film Cheerleader (2003), which won the Student Academy Award in Documentary and aired on HBO Family. Franziska Blome has produced several documentaries for American Experience and NOVA, including the critically acclaimed series Chicago: City of the Century, the Emmy Award-winning Africans in America: America’s Journey through Slavery (PBS, 1997) and Percy Julian: Forgotten Genius. Julie Crawford is an independent documentary producer who has worked on projects for nearly 10 years with over a dozen films to her credit. Her programs have appeared on PBS, National Geographic and Discovery. She worked at NOVA, the award-winning science documentary program for six years, co-producing several projects, including Survivor MD, Fireworks, and The Last Flight of Bomber 31. James M. Fortier (Métis-Ojibway) wrote and directed Emmy-award winning Alcatraz Is Not an Island, which screened at Sundance in 2001 and aired nationally on PBS in 2002. In addition, he wrote, produced and directed the Minnesota PBS environmental documentary Voices for the Land. He was also writer and associate producer for the five time Emmy Award-winning 6-hour Ojibway PBS documentary series Waasa-Inaabidaa: We Look In All Directions. Ellie Lee is a director of documentary, fiction, and animated films that have screened in over 120 film festivals worldwide. Her charcoal-animated documentary Repetition Compulsion premiered in the 1998 Berlin Film Festival and became the first animated film to be broadcast on the acclaimed PBS documentary series, P.O.V. It was nominated for Best Short by the 1998 International Documentary Association and for a 1998 National Emmy Award for Outstanding Documentary Achievement. Recently, she was a documentary producer/director of the 2005 National Emmy Award-nominated, educational PBS children’s series, Postcards from Buster. Randall MacLowry is a producer, director and editor with 20 years of experience in the field. At present, he is completing work as producer and director of a two-hour documentary for American Experience on the California Gold Rush. His other American Experience credits include writer, editor and co-producer of Building the Alaska Highway, producer and co-writer of A Brilliant Madness and producer, director and co-writer of Stephen Foster. Patricia Garcia Rios is a documentary filmmaker with 15 years’ experience in national public television programs. As a producer and co-producer at WGBH-Boston, her credits include the historical documentary series They Made America, Reconstruction: The Second Civil War and Chicago: City of the Century. In 1999, she won an Emmy for her research for the series Africans in America. María Teresa Rodríguez is an award-winning producer and director whose work has screened both nationally and internationally. Her work includes Mirror Dance/La Danza del Espejo, which was broadcast on the PBS Series Independent Lens. Other work includes From Here to There/De Aquí a Allá which screened at the Smithsonian Institution and was acquired by WGBH’s La Plaza. James Rutenbeck is a filmmaker and editor. Mr. Rutenbeck is an editor for PBS, BBC, Channel Four (UK), Discovery Channel and Showtime. His credits include the two-part biography Jimmy Carter for American Experience, Emmy award-winning Siamese Twins for NOVA and the groundbreaking Channel Four film, The People of the Shining Path. These films have won Peabody, DuPont and other awards and honors. Eric Stange, executive producer and founder of Spy Pond Productions, is a director, producer and writer of documentary films on history and science. His work has been broadcast on PBS, The Discovery Channel, National Geographic and the BBC. Tracy Heather Strain’s latest producing and directing effort, Building the Alaska Highway, for American Experience, received the highest ratings of the series’ 2004-2005 season. Her other PBS producing credits include “The Story We Tell,” the second episode of California Newsreel’s three-part RACE – The Power of an Illusion, and “Bright Like a Sun” and “The Dream Keepers,” two segments of the six-part Peabodywinning Blackside series I’ll Make Me a World: A Century of African-American Arts. Her other PBS credits include Tom Curran’s Adrift, America’s War on Poverty, The Great Depression, Discover: The World of Science, and Sesame Street.